Do you have a passion for cooking and think you have what it takes to compete against some of the best home cooks in America?!? FOX's MasterChef is now casting for Season 6 of the popular culinary competition and will be traveling to 11 cities to meet the best home cooks in America, with a stop in San Diego on Saturday, September 13! The San Diego MasterChef casting on September 13 will take place from 10am - 6pm at The Westin Hotel, located at 400 W Broadway in downtown San Diego. Applicants must bring one prepared dish to be served to the food judges and you will be given 3 minutes to plate the dish at the casting call location, but there will NOT be a kitchen to cook or warm your dish up so come prepared! 1. Pre-register your profile and pick your open call location in advance- PRE-REGISTER HERE. 3. Bring your food/ingredients to be finished and plated once you enter the audition room. NOTE: There will NOT be a kitchen to cook or warm up your dish so come prepared! Also, they will NOT supply you with dishes, utensils, etc., so you must bring your own. MasterChef is looking for home cooks only, so no professionals! 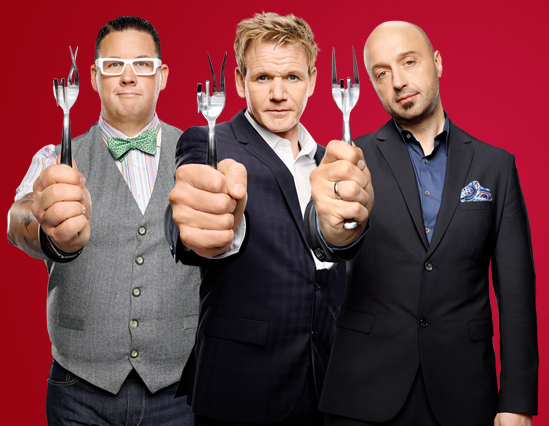 Check the FAQs LINK on the MasterChef Casting homepage for additional casting questions.